Featuring over 100 presets and over 1000 Sounds and Loops, Scary Atmospheres, Creaking Instruments, Trashy and Boomy Percussive Loops and Hits, these libraries are perfect for all kinds of Cinematic Underscore, Electro or Ambient Music Producers, Sound Design and much more! or get both at 60% off! 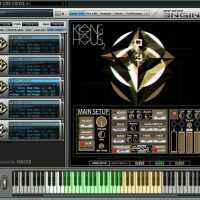 What are “Klanghaus 2” & “Klanghaus Bio Machine”? 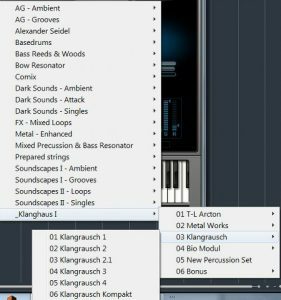 “Klanghaus 2 & Klanghaus Bio Machine” are virtual instrument / sample libraries that offer a huge collection of dark, sinister, and powerful instruments devised and constructed by Musician, Composer & Artist Ferdinand Foersch. Featuring over 100 presets and over 1000 Sounds and Loops, Scary Atmospheres, Creaking Instruments, Trashy and Boomy Percussive Loops and Hits. These libraries are perfect for all kinds of Cinematic Underscore, Electro or Ambient Music Producers, Sound Design and much more! 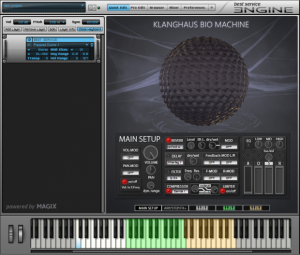 “Klanghaus 2” and “Klanghaus Bio Machine” are powered by Best Service “Engine 2”, free to download HERE. Ferdinand Foersch – The Musician, Composer, Artist & Visionary Behind Klanghaus! 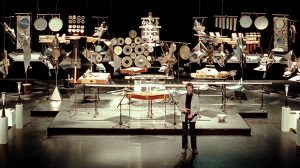 So far, he has developed over a hundred musical instruments (metal drums, string instruments and combinations, sound images, drum and sound walls and sound machines), building them from a wide range of materials right up to scrap. These instruments have been presented in concerts, performances and exhibitions all over the world (The Kitchen, N.Y.C., Shanghai Arts Festival, West Africa, & numerous European festivals etc.). A central inspiration in his research and work is the relationship between the acoustic and the visual, between sound and form, hearing and seeing. He developed an inherent unity in diversity through creatively engaging in this interplay. All the sounds you can hear and work with in the KLANGHAUS library come from an original and unique source. 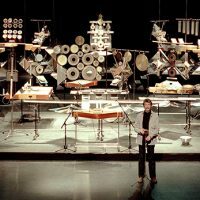 In 1997 he founded the ‘KLANGHAUS‘ in Hamburg, Germany, as an experimental forum for concerts, exhibitions and interdisciplinary performances. 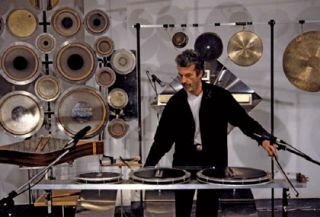 After 30 years of building musical instruments he has decided to open the doors further and pass on his sound work as a virtual instrument, resulting in the KLANGHAUS Library powered by the Best Service “Engine” sampler! 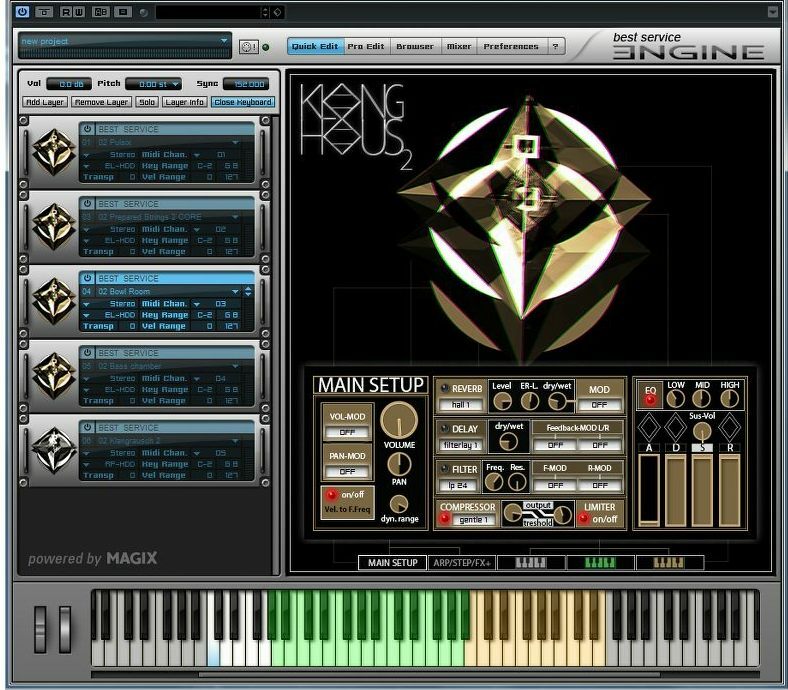 The “Klanghaus 2” interface is designed to be clear and intuitive. You will find basics like Volume, Pan, and ADSR-curve, but also a variety of effects like Reverb, Delay, Phaser, Bit-Crusher and many more. With 8 Arpeggiators/Step-sequencer and 17 Step-modulators per patch you can go pretty wild! Almost every function can be quickly modulated with the custom-designed Modulator Presets, which gives you endless possibilities of sound in no-time! The main setup is the “command center” of every patch. Although divided into 3 different groups (white/green/brown keys), everything you do here affects the sound of the entire key range. 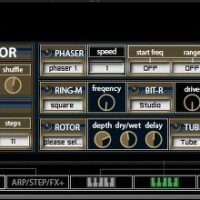 The Arp/Step/FX+ page adds more effects to the master-chain and also gives you access to the Master Arpeggiator & Step sequencer. 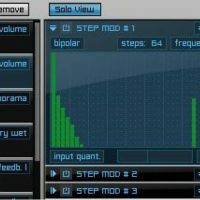 Arpeggiator/Step Seq – These two guys come with a big preset library and are affecting the whole key-range and can be used in combination to achieve pure weirdness right out of the box! Shuffle – This can be useful to add more “swing” to your arps. 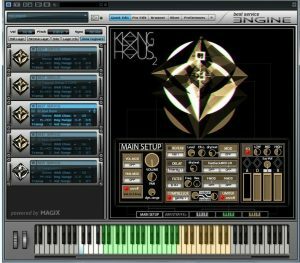 This works best with Klanghaus’s multisampled instruments – try to use this with percussive patches! Rate – Every Step Seq preset has its own rate. By changing it, you could slow down or increase the speed of the steps, & even take it to the extreme. Almost all controls can be assigned to a MIDI-CC control of your choice, which allows you to create some very interesting real-time performance effects! 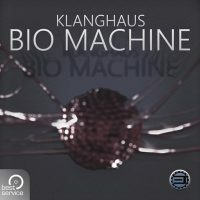 Find out more about all of the Klanghaus 2 / Klanghaus Bio Machine features and more in the Manual HERE. 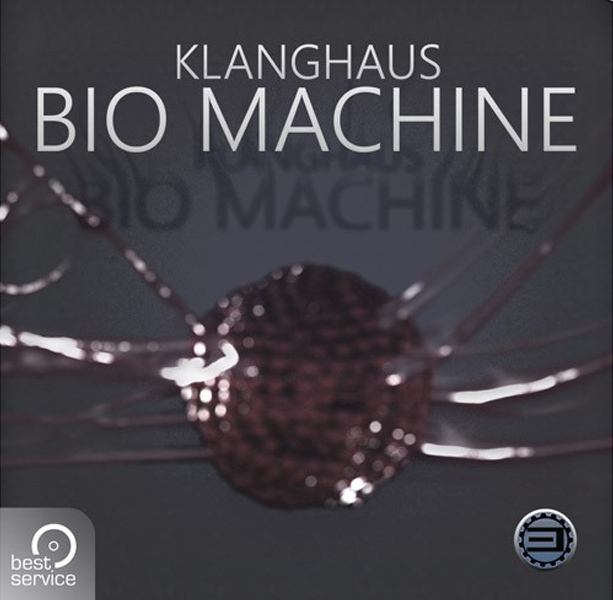 KLANGHAUS BIO MACHINE is the next great addition to the original Klanghaus 2 Library, produced, composed and recorded by German musician, sound artist and instrument designer Ferdinand Försch & realized by Best Service. 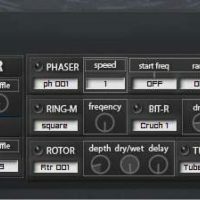 With BIO MACHINE you have access to a big collection of unique rhythms and loops, played and programmed by Ferdinand Försch. 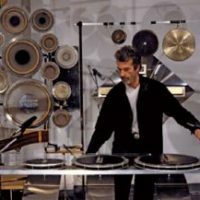 This library provides a unique collection of Försch’s self-created sound universe, still unmatched in inspiration and creativity. New tones, grooves and small loopable fragments as well as the intuitive user interface, give you a variety of sound design possibilities. 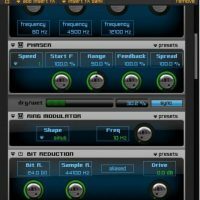 Klanghaus 2/Bio Machine features a range of ready-made Mod-presets, which can be used for any modulator in the interface. Quickly change the sound by adding some movement to a Filter, create rhythmic elements with the Volume Modulator, or create never heard before sound effects by modulating all effects in the FX+ Page! 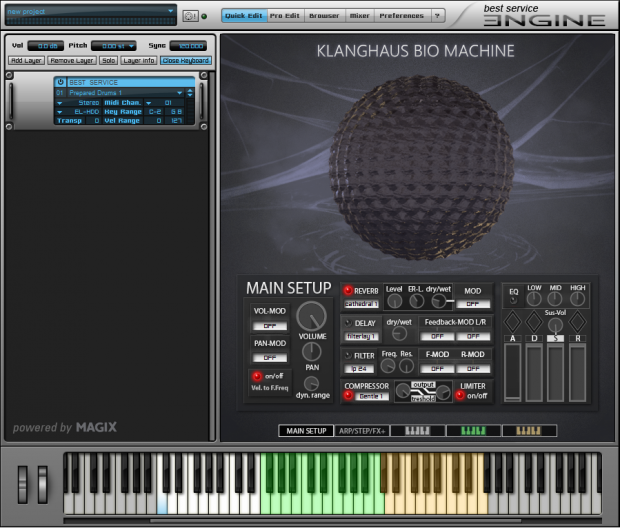 All Klanghaus 2/Bio Machine Instruments are organized in Subfolders, which consist of several patches/versions. The Bonus Patches folder contains some examples which make use of the given possibilities of Modulation and FX, ready for you to explore & play. You can also create and save your very own versions too! Vel. To F.Freq. is “master-only” – when active in the Main Menu the filter frequency of the PART’s will work only based on played velocity. 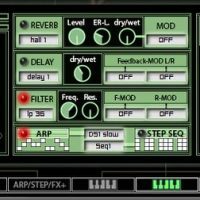 Each PART has a dedicated Arp Arpeggiator and Step Sequencer. 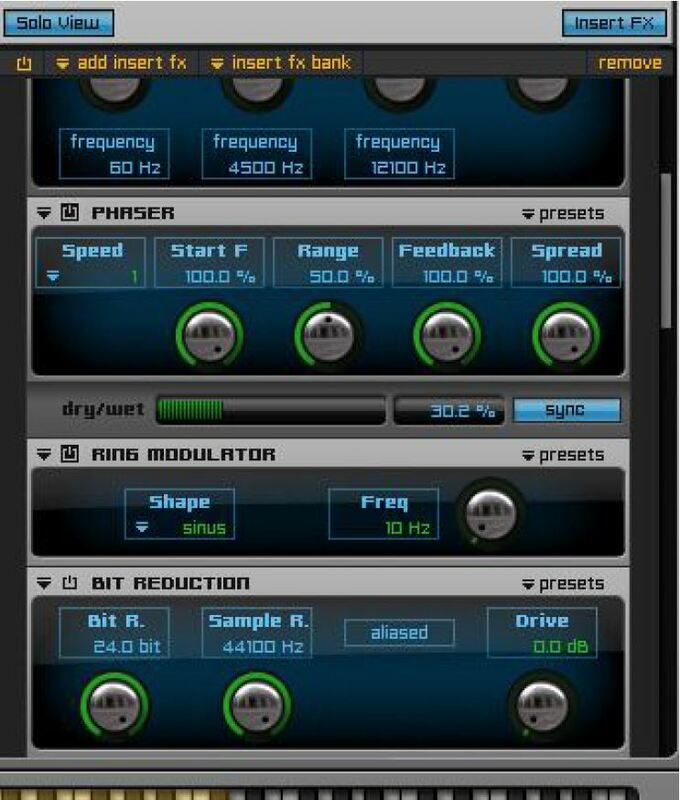 This allows you to have different rhythms for each Key-group to create complex and varied grooves. 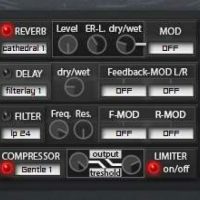 Each PART also has a dedicated Reverb, Delay, Filter & EQ. The PARTS also offer a pitch modulator, which can be fed with the many existing modulator presets. 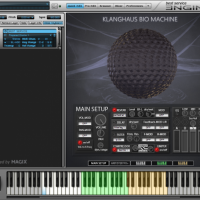 So What Exactly Can I Do With “Klanghaus 2” & “Klanghaus Bio Machine”? “Klanghaus 2” & “Klanghaus Bio Machine” provide a unique insight into inventor Ferdinand Foersch‘s sonic world, providing a wealth of one-of-a kind instruments and sounds that cannot be found anywhere else. 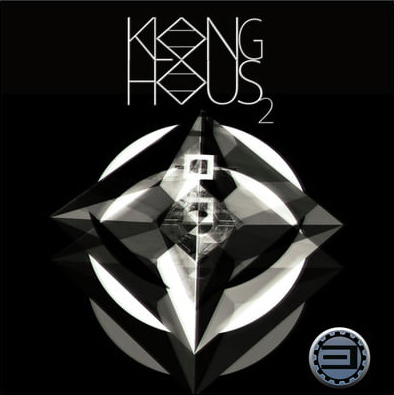 "Klanghaus 2 takes a bit of time to get into, it’s more an experience than off the bat playable instrument. But taking the time with this one is rewarding. You find such obscure and cool things in there that you cannot be but pleased once that one otherworldly sound fits your track perfectly and gives it its final touch. Also the inspiration this product provides you can be invaluable... this is a very good collection to spend your money on." "The whole library is very niche oriented, offering very specific sorts of sounds, but the general sound quality with all those additional editing options – effects that add countless variations on the source material – put this library in a whole new light. It offers far more than suggested by the price tag. 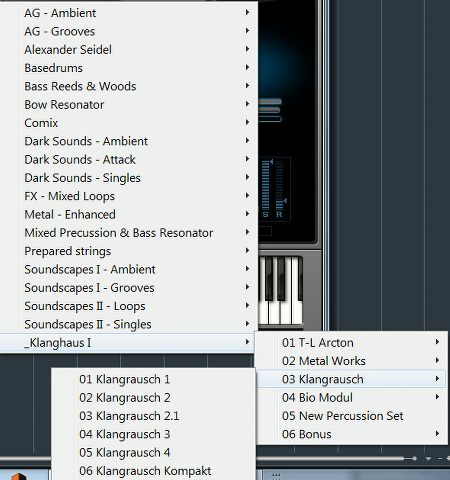 Klanghaus 2 is an essential buy for all cinematic, media composers, an excellent choice for electro or ambient producers." "For film music and related genres you will find extravagant and moody effect sounds and soundscapes of all kinds. 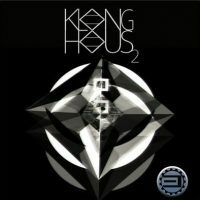 In addition, Klanghaus is very groovy and a rich source of inspiration for experimental dance with a tendency towards neo-industrial. Bottom line, a true kaleidoscope of unusual sound sources."